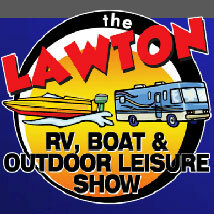 Come see what’s new in outdoor recreation at the annual Lawton RV, Boat & Outdoor Leisure Show at Lawton Comanche County Fairgrounds this February. See the latest RVs, boats and outdoor-related products and services at special show prices. Car fans will also enjoy Billingsley Ford and Lawton Chrysler Dodge’s display of their latest car and truck models. Get ready for summer with a large selection of grills and hotubs that will keep things cool in the warmer months. Don’t forget to try plenty of food options at this family-friendly event.